Shares of Bellicum Pharmaceuticals $BLCM got a badly needed boost this morning as the biotech — put in at least temporary limbo by an FDA hold on its lead T cell therapy — plucked some encouraging data from a European study for children with acute myeloid leukemia. Among 38 pediatric AML patients treated with BPX-501 following haploidentical hematopoietic stem cell transplant, researchers tracked a median relapse-free rate of 91.5% and overall survival of 97.3% during a one-year followup in their BP-004 study in Europe. There’s no control group to compare against, but the beleaguered biotech pointed to historical rates of 60% to 80% following alternate-donor HSCT. The biotech’s execs say this gives them confidence in setting up a registration study. And its stock jumped 12% in pre-market trading. Right now, Bellicum is doing everything it can to try and make it appear that life and work goes on as normal. But that’s a tough trick for a company which was sent into a tailspin a few weeks ago after regulators halted their US studies of BPX-501 following several cases of brain damage. The Houston-based outfit sought to reassure investors that it would finish the pediatric AML study and later suggested that it could get out from under the FDA hold in a relatively short period. The FDA, though, is reliably close-lipped about experimental meds and there are no guarantees. The biotech has been studying this cell therapy for three key objectives: fighting infection, supporting engraftment, and preventing disease relapse and, should GvHD occur, their CaspaCIDe safety switch can be activated to kill the toxic T cells. “The recurrence of cancer is one of the most serious risks to AML patients receiving a stem cell transplant. 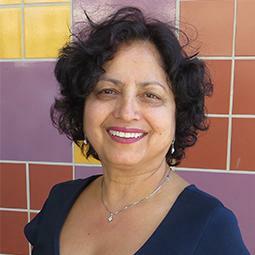 These impressive results in children with AML suggest that BPX-501 may be effectively reducing or eradicating residual cancer cells following a haplo-transplant procedure,” commented Neena Kapoor, director of the Blood and Marrow Transplantation Program at Children’s Hospital of Los Angeles and an investigator in the BP-004 trial.